Pop vocal group who, between 1997 and 2001, clocked up record sales of around 10 million and achieved 14 consecutive UK top 5 singles. 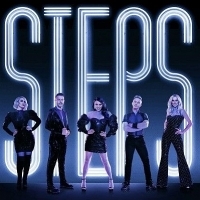 'H', Faye Tozer, Lee Latchford Evans, Lisa Scott Lee and Claire Richards scored huge hits with 'Better Best Forgotten', '5, 6, 7, 8' a cover of the Bee Gees' 'Tragedy' and loads more. The quintet reformed in May 2011, primarily for a Sky TV documentary to tour and released the album, "Light Up the World" the following year. Reforming once again in 2017, the band released the album: "Tears on the Dancefloor".